Dash through crowed streets, careen around corners in high-speed chases, skulk in dark alleys, hack into secure files, infiltrate enemy agencies – Enter the world of a secret agent! 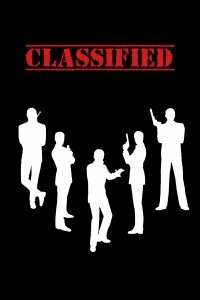 Classified is a retro-clone of the 1980’s role-playing game about the world’s most-famous spy. Classified is the action-packed game of covert operations that maintains the flavour of cold war spy-mongering while set in the modern day. Style and substance, baby, style and substance.